Building your dream home is one of the most exciting and biggest projects of a lifetime! If you’re well-planned, this huge investment can be an enjoyable experience. Here are some great tips and ideas from Direct from the Designers House Plans to assist you with building your dream home within your budget. 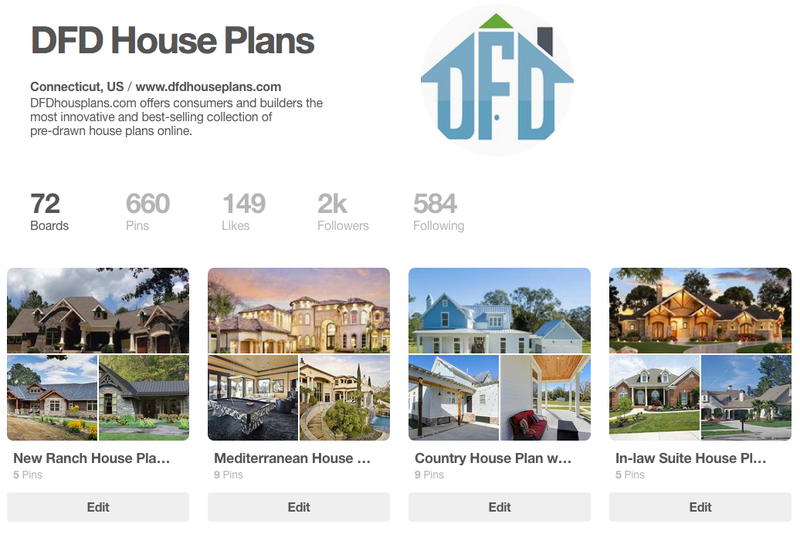 When it comes to building a home, there are two great social media tools out there that you won’t want to overlook – Pinterest and Houzz. Pinterest is a great tool to save all your ideas for designing your new home, finding house plans and picking out home products. Easily create boards to file your images so that you can easily refer back to them throughout the home building process. This is especially helpful when it comes to interior design – you can save everything from furniture to kitchen designs to paint colors to flooring. 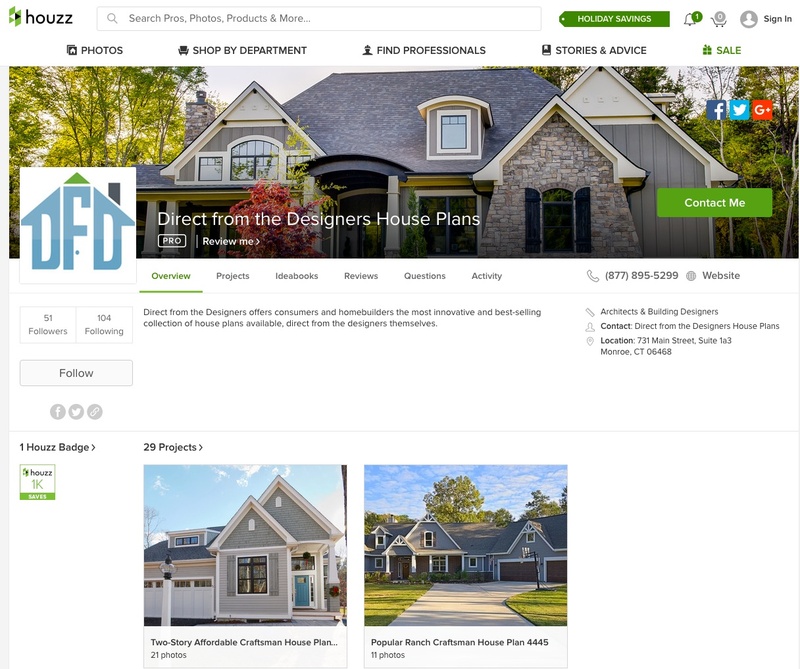 Houzz is specific for the home building industry and a great resource for finding architects, designers, builders, interior designers and engineers. It’s easy to search by location and review their work by viewing all their projects. Projects feature great photographs of their work to see if they would be a good match for the home you are looking to build. In addition to Finding a Pro, Houzz offers Stories & Advice (ask questions and read personal stories) Buying Guides and Inspirational Photographs. In order to stay on budget and not get distracted by all the great products and beautiful house plans available, create a ‘must have’ list of items that you need in your new home. Be realistic about the size of the home you need and can afford for your family. Explore if a one-story or two-story is better for your land and budget. While the exterior look of your home is certainly important, it’s the layout of the floor plan that is key to you building a functional home. There is no such thing as the ‘perfect’ home plan, but thanks to companies like Direct from the Designers House Plans there are 1,000s of best-selling, affordable house plans to choose from. When you start to look at house plans, take advantage of the advanced search page. It allows you to select specific features like the square footage, width and depth, style, number of bedrooms, bathrooms, garages and key design features. This will help narrow your search for homes. Stay organized and create an account to save your favorite house plans, as well as sign up for any newsletters and promotions – you never know what type of savings you may find in your inbox. 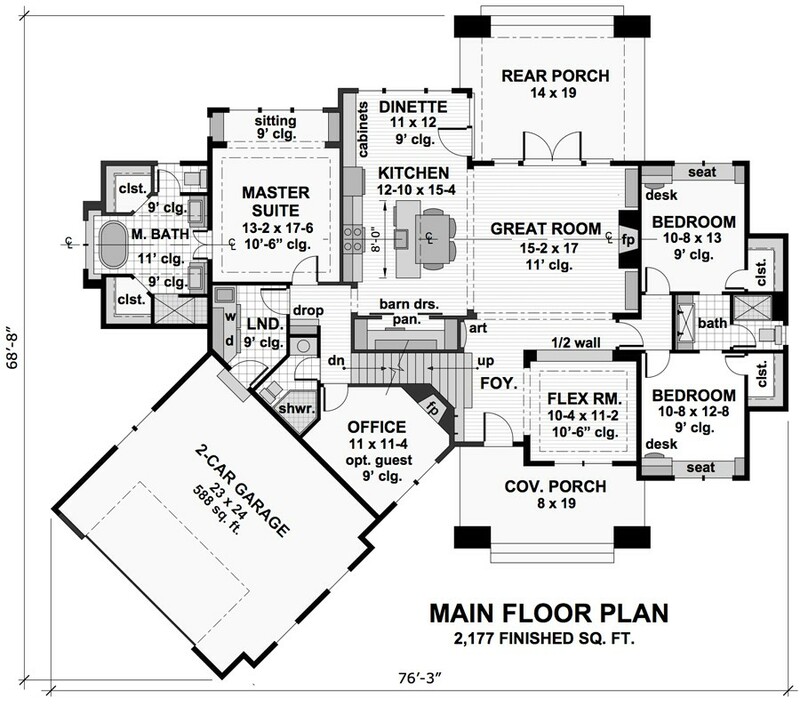 Craftsman House Plan 9720 is a beautiful new one-story home design featuring an open floor plan with split bedrooms. Explore additional features of this functional 2,177 s.f. home. Once you’ve narrowed your selection to a few house plans, take advantage of finding out what it would cost to customize each home. You’ll be pleasantly surprised that customizing a stock house plan is much for affordable than hiring an architect to draw you a new plan from scratch. The ability to customize a home will allow you to get the desired features you need as well as ensure that the home is within your budget. Most online companies offer free estimates. Your builder will be key to advising you on the right size home for your budget as well as provide you with a cost to build. Their expertise will be key in understanding all the steps necessary for permitting and any added cost associated with the process. Referrals from friends, family and your realtor are the best. Also check with your local home building association and Houzz is a great resource. Begin your search for your dream home by visiting Direct from the Designers House Plans.